It includes two very special exhibits near and dear to me! The Southwest holds a special magic that speaks, not only to those that call it home, but others who’ve only visited. The thirty one quilts in the Shades of the Southwest exhibit embody all of the qualities that make this landscape unique, from the granite rock formations, to the Native American culture, to the plants and animals that call the desert home. 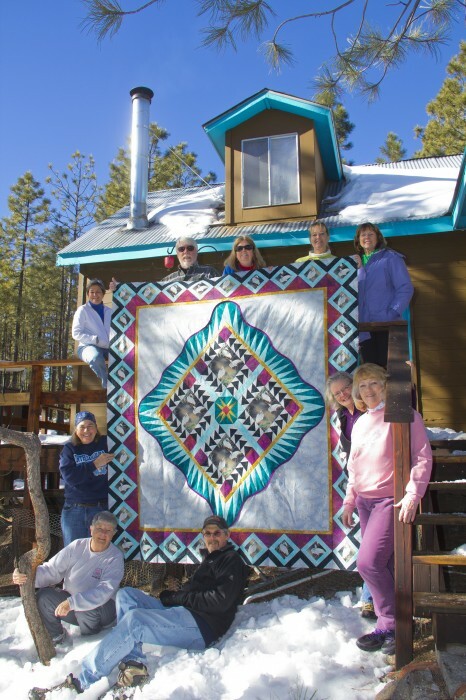 The quilts honor our vibrant blue skies and unforgettable sunsets, our stately yucca and prickly cactus, and our favorite mode of transportation, a humble pickup truck. 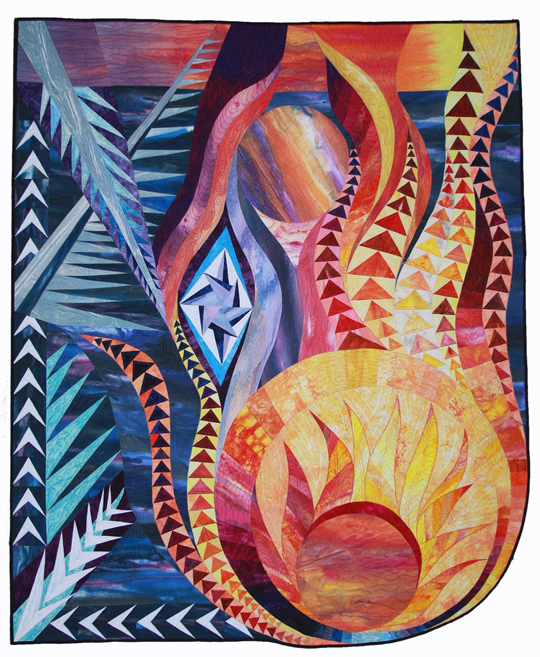 Quilt artists were inspired by the designs of the ancient inhabitants, the traditional art of the region and particularly by the colors of this beautiful part of America. The exhibit drew entries from throughout the United States and Canada. Click Here to see more images of quilts from this exhibit. I am very flattered that the American Quilter’s Society QuiltWeek Show in Albuquerque is featuring an exhibit of thirty of my quilts, from 1980 to 2014. 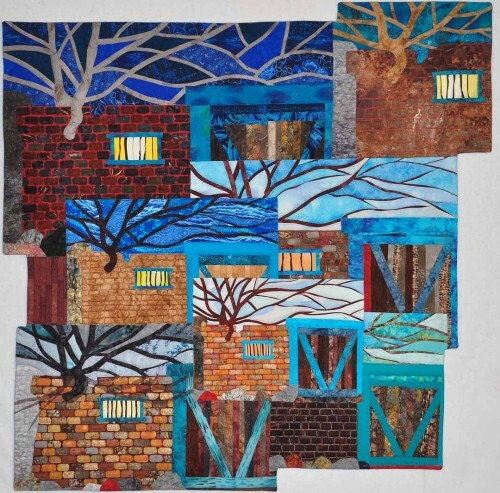 This special exhibit includes some quilts from private collections as well as two that are in the collection of the National Quilt Museum in Paducah, KY. This will be the first time that this many of my quilts have been exhibited together. 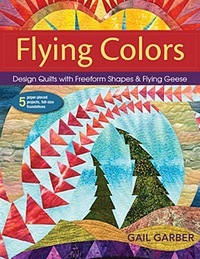 Follow the trail of my quilting life, from that very first quilt, through my fascination with pictorial applique, to the color saturated, free-form pieces that I enjoy now. On Friday, January 16, at 10 a.m., I will lecture on my work creating Great Group Quilts. One of my specialties, as well as one of my favorite things to do is to coordinate a ‘Quilt-in-a-Day’ my way. 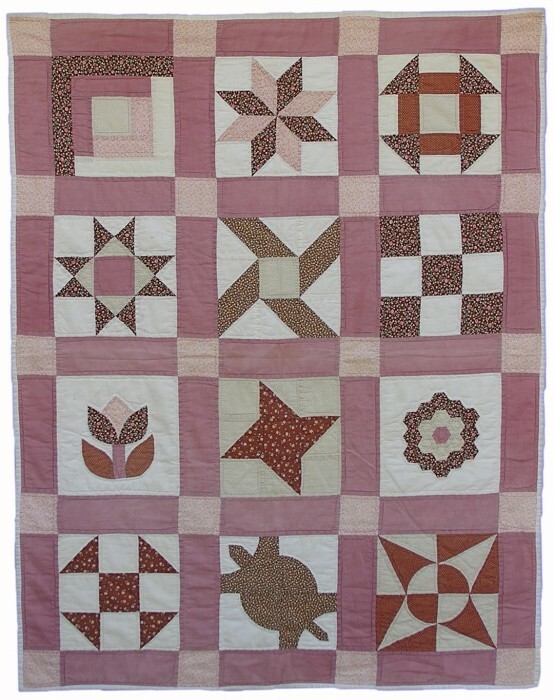 I’ll share knowledge gleaned from twenty-two years of experience creating full-sized raffle quilts each pieced in a fun-filled, one-day session for 10-14 quilters, ranging from beginner to advanced. Lest you think that this is a staid affair, you might be wrong! Join in the fun and see what happens at Quilt Retreat!